By So Nailicious "Nail art warriors are you ready? 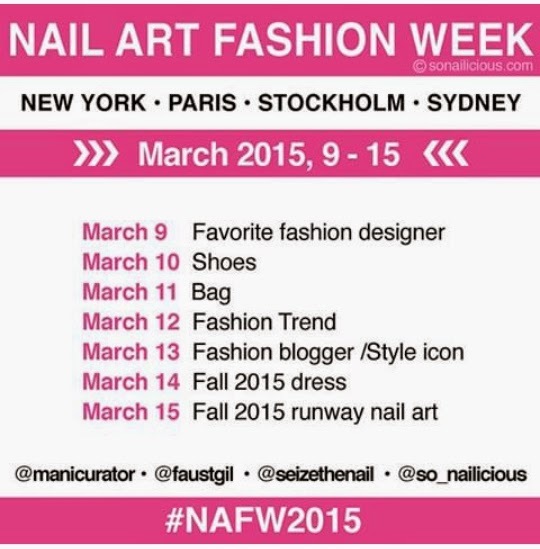 The first ever Nail Art Fashion Week kicks in today. Hosted by Seizethenail, @faustgil, Manicurator and yours truly. It's going to be EPIC!!! Download the schedule now on http://SoNailicious.com.